In recent years we’ve been spoiled by superhero films with depth and greater messages infused within their stories. Sony’s latest offering, Venom, unfortunately harkens back to a first wave of superficial, simple superhero ‘blockbusters’. 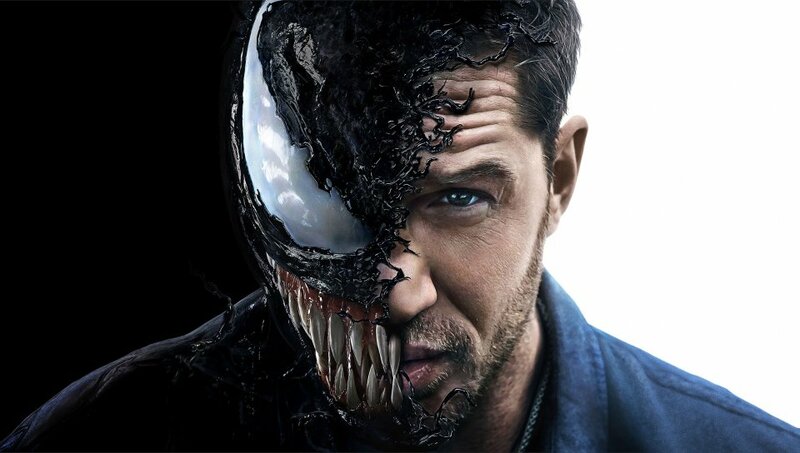 In this origin story Tom Hardy takes the role of investigative reporter Eddie Brock as he digs into the nefarious work of the Life Foundation and its enigmatic founder Carlton Drake (Riz Ahmed). During his investigation Brock comes into contact with the alien symbiote known as Venom who quickly fuses with Brock. It is from this fusion that much of the joy in this film radiates as Brock and Venom bicker back and forth with snappy one-liners. Sadly the seemingly unintentional comedy is the lone highlight of the film. The action sequences are dark, jumbled and often indistinguishable. Had Venom been allowed to explore the R-rating, much like Deadpool, it could have had the much more visceral impact which the source material calls for. The dialogue is bland and formulaic and ultimately the villain is little more than a bigger, badder version of Venom. Whilst a relatively fun ride this film feels like it belongs to a bygone era. Had Venom been released during the first wave of Marvel films in the early 2000s this would have felt much more appropriate than it does now.